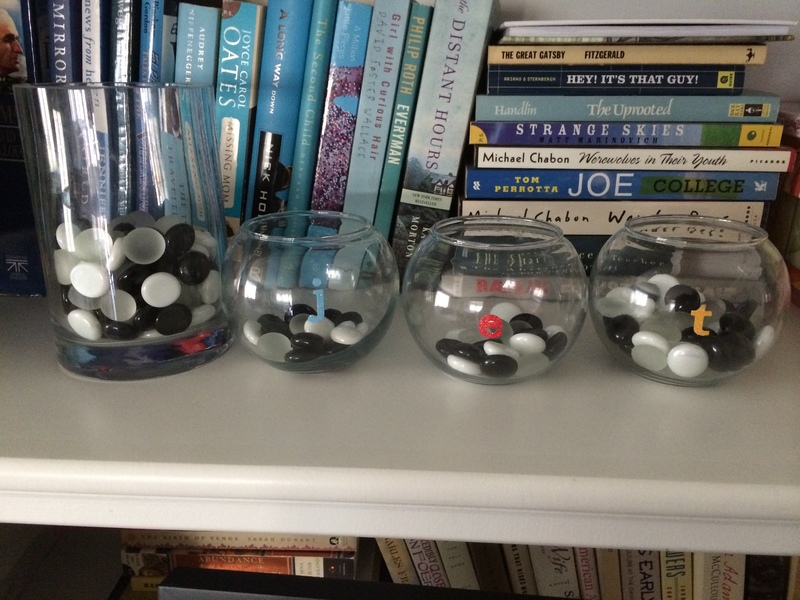 As my kids have made the journey into their tween and teen years, I’ve tried a number of different methods to get them to help around the house. 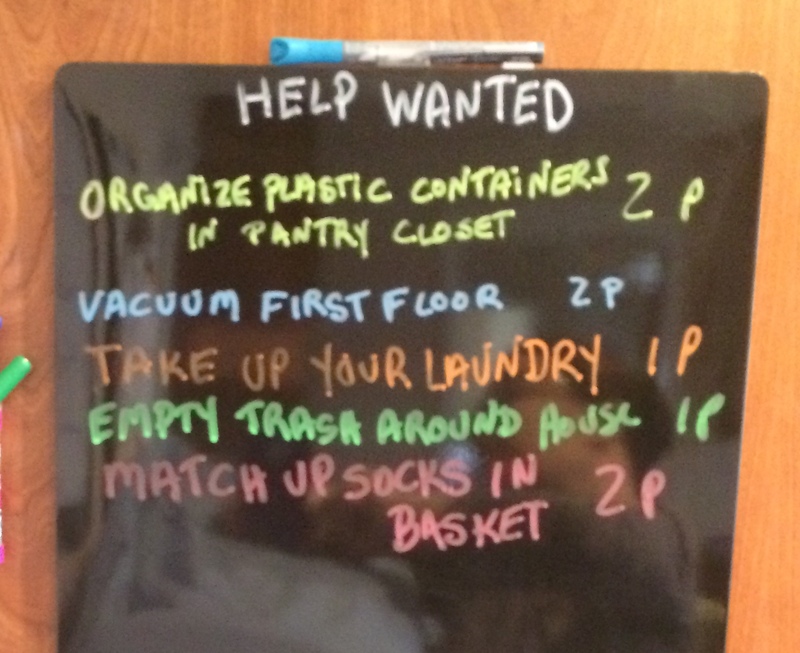 Most of them, including the Summer Chore Chart from a few years ago have lost their luster as time has passed. For the past year though, I have found a motivational tool that seems to work pretty consistently, and that’s the chore board and pebble system. It works well, mostly because at this age, they really get the idea of cause-and-effect, and they can see how much money they’re earning just by counting out their pebbles. If there’s something out there that they want, like a video game or a Taylor Swift album, they have a tangible way to earn it. First, I set up the pebble system. I bought little bowls, I think they are actually votive candle globes, at the craft store, along with some glass pebbles from the floral department. Each kid has his or her own little bowl into which they can put their pebbles, indicated by an initial sticker on the front. These are kept on a common shelf in the family room. It helps to have them in a place where the kids can see them, so that they don’t forget the work in progress. We use the honor system in our house, and it seems to work well, even though at the beginning there was some peer policing. 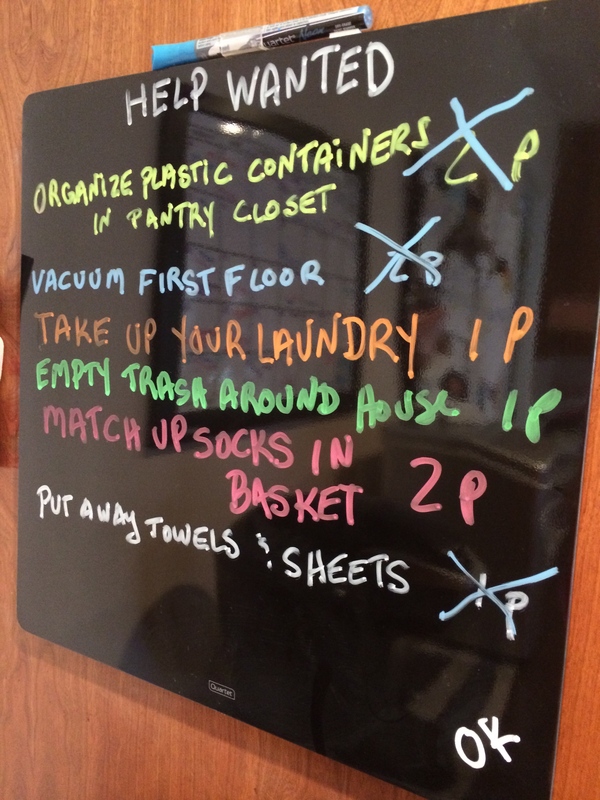 Then, whenever I have things that need to be done around the house, I post them on a dry-erase board in the kitchen. Whenever one of the kids feels motivated, he or she can check the board. Once the chore is finished, they pay themselves with the requisite number of pebbles and check the chore off the list. Each pebble is worth 50 cents, and Payday comes on the last Friday of the month. It works fairly well. Sometimes, they’re not motivated, but they’re old enough to only need a gentle reminder to get them to step up. So far, everyone in the household seems satisfied with the system. One minor wrinkle though — sometimes one of them (ahem, the youngest) will expect payment for things that are not paid jobs, which we have set up as things they should be doing anyway. For example, they are supposed to clean up after their own messes and keep their rooms relatively clean. Sometimes, it can be a struggle with that one. 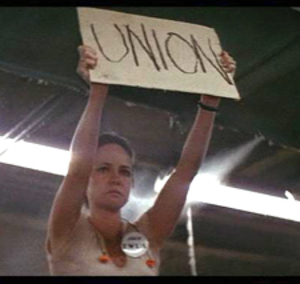 Okay then, pipe down Norma Rae. I love the help wanted board, I would have two wages, one with a date to be completed that paid more than if completed after that date.